A brilliant team of designers and developers have put together an offering that Toronto condo buyers will not be able to resist! 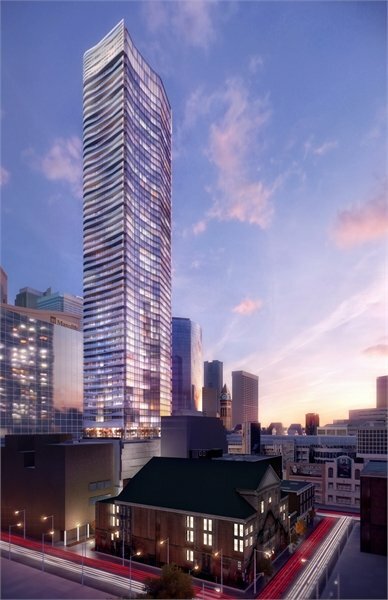 Introducing the new Toronto Massey Tower Condos located at 197 Yonge Street Toronto in the Yonge/Dundas neighbourhood. The project site of the new Toronto Massey Tower Condos will actually encompass several addresses between 199-201 Yonge Street Toronto, but regardless of where the final high-rise tower stands, condo buyers will be centrally located close to EVERYTHING! From the Dundas Station to the Queens Station, Massey Tower Toronto condo buyers will be within two minutes away from local transit routes. Also just minutes away is plenty of shopping at the Toronto Eaton Centre. However, the best thing going for the preconstruction Toronto Massey Tower condos for sale is the fact that the development team is award winning, cutting edge and very custom service oriented. 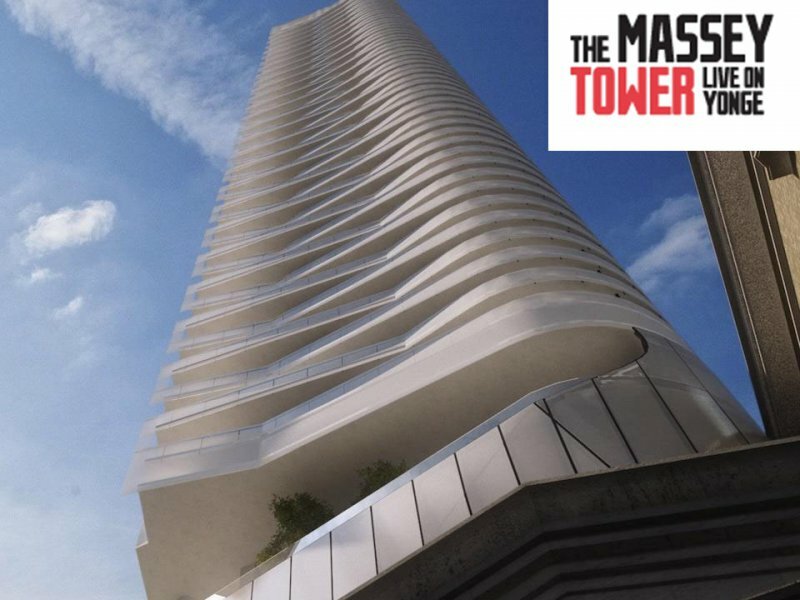 Here, the Toronto Massey Tower by MOD Developments (developer) is complimented by an experienced team at MarketVision Real Estate Corporation (for sales/marketing) as well as Hariri Pontarini Architects, award winning firm of high-rise towers. The landscape architect for the spectacular green spaces, outdoor areas and landscaping at the Massey Tower Toronto condos for sale is Janet Rosenberg + Associates. In addition, the preconstruction Toronto Massey Tower condos for sale will introduce Cecconi Simone Interior Design for the inside suites and amenities, rounding out an all-star development team that has won plenty of awards. 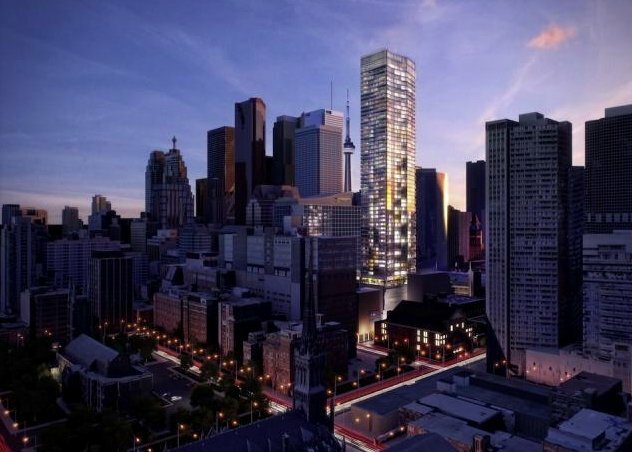 Located in the Dundas Square/Yonge Street corridor, MOD Developments introduces the Massey Tower Toronto Condos for sale which will consist of a landmark 60 storey high-rise with preconstruction condos expected to start from the mid $200’000s. This is much more affordable them comparables around the Dundas/Yonge corridor presently, so it presents great value for first time condominium buyers as well as investors and everyone in between. Situated across from Eaton Centre, the Massey Tower Toronto landmark tower will take the site which used to feature Darling and Pearson’s Canadian Back of Commerce that opened in 1905, but has been vacant since the mid 1980’s. Because this is a partial restorative project, the new Massey Tower Toronto Condos will be painstakingly renovated and restored by ERA Architects for portions at 201 Yonge Street Toronto which will serve as part of the podium for the sixty storey high-rise tower. Other conveniences located within walking distance from the preconstruction Toronto Massey Tower Condos includes numerous live and movie theatres, children’s hospital, Toronto General Hospital, St. Michael’s Hospital, Nathan Phillips Square, Ryerson University, University of Toronto, Toronto City Hall, numerous restaurants and cafes as well as the Financial District. A 60 storey mixed use high-rise tower located along Yonge Street in the Theatre Block Entertainment Disttrict of downtown Toronto is coming soon! Called The Massey Tower Toronto condos, this new landmark building is designed by award winning firm Hariri Pontarini Architects. In addition to the 700 suites for sale at the preconstruction Toronto Massey Tower landmark high-rise, there will also be street level retail and a unique and very exciting above grade automated parking garage system, the first of its kind in all of the GTA. Originally designed by Darling & Pearson in the early 1900’s, the historic home of the Canadian Bank of Commerce will be transformed meticulously by ERA Architects and restored to its former glory with the four storey podium below the 60 storey high-rise tower. The aim for The Massey Tower Toronto condos for sale is to revitalize this part of town, the Massey Hall neighbourhood for generations to come. 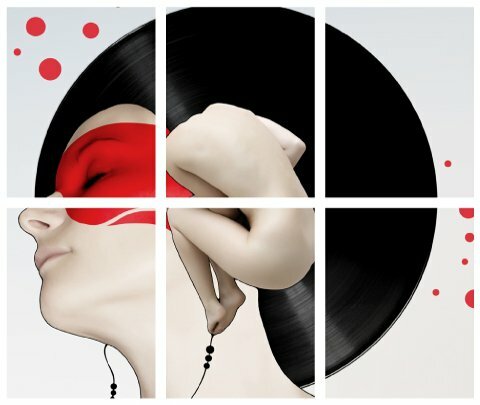 Located just steps away from Eaton Centre, Ryerson University, the Financial and Entertainment Districts as well as Queen Street subway station, the centrally located Massey Tower Toronto condos for sale will be a hot item when the launch pre-sales this Spring 2012. The collaboration between Tricon, Intracorp and MOD Developments is also a very good one, with each company adding to the extensive expertise and experience of the others. This downtown Toronto condo landmark at The Massey Tower high-rise will start development soon and it’s expected that the interior design will be inspired by the more traditional yet contemporary Massey Hall legacy. 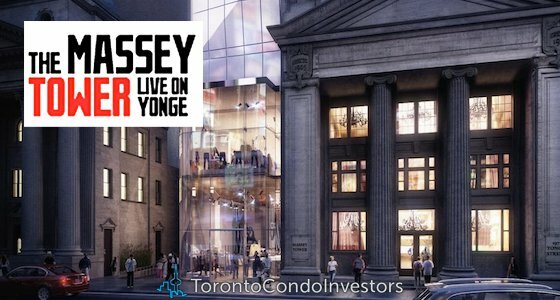 The juxtaposition between past and present will make this project very unique and the interior consultants will be from Cecconi Simone Inc. With the rich history of the landmark Massey Hall to draw inspiration from, the tag line for the preconstruction Toronto Massey Tower condos is “Live on Yonge’. The restoration of Massey Hall Toronto will be the defining feature of this grand development and the unique and impressive tower above it will certainly add a landmark to the downtown Toronto skyline for years to come. 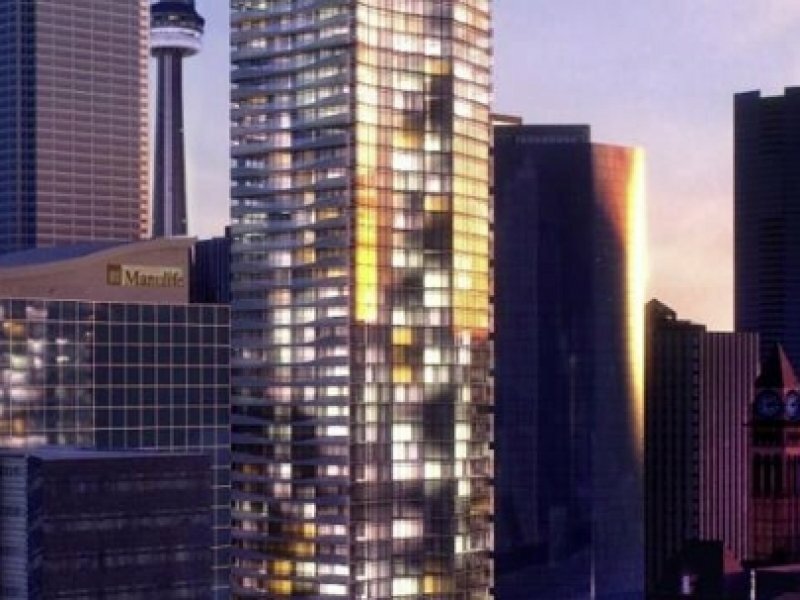 The new Toronto Massey Tower pricing starts from $274,750 with special presale offers upcoming for the Spring 2012 launch. Some of the Platinum offers for the preconstruction Toronto Massey Tower condos include $2,000 off junior 1 bed layouts, $3,000 of one bedroom suites and up to $4,000 off 1 bed and 2 bed junior floor plans. Up to $5,000 can be saved for new homebuyers at the Massey Tower Toronto real estate development for 2 and 3 bedroom suites. Please note that these offers are subject to change at any time.